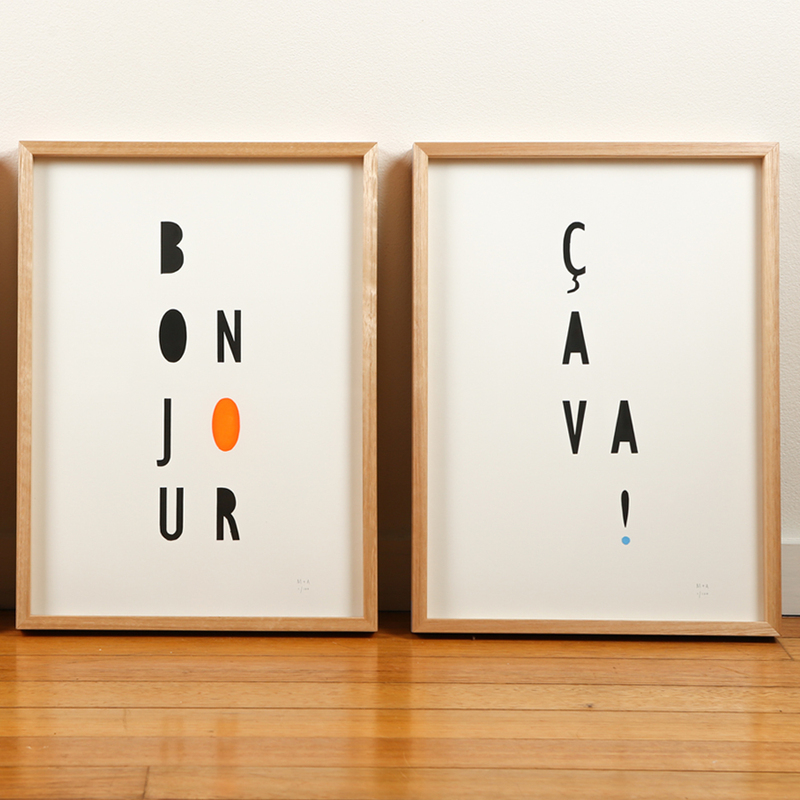 "Orange Bonjour" is from an edgy new series of limited edition screen prints handmade by Sydney's me and amber. The series consists of playful typographic and minimalist geometric compositions printed by hand in contrasting colours using a neon palette. 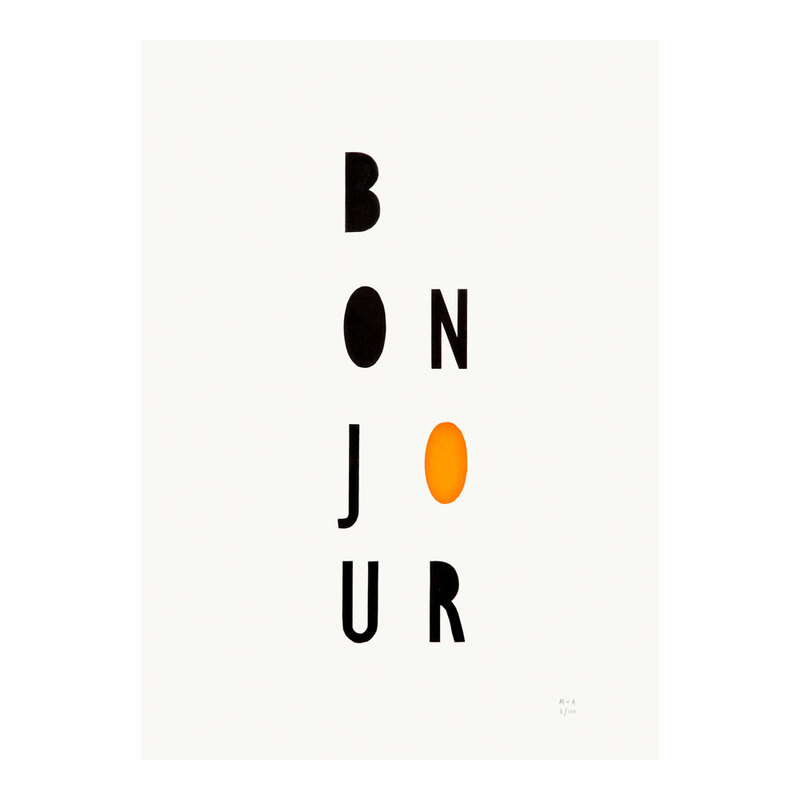 The word "bonjour" is written vertically, with the black block letters carefully positioned using two columns down the page. The letter "O" stands out in contrasting neon orange. The neon series prints look fantastic in groups of two or three. Choose designs from the same or contrasting colourway (eg. neon pink / neon green), or pair with another typographic or geometric design. 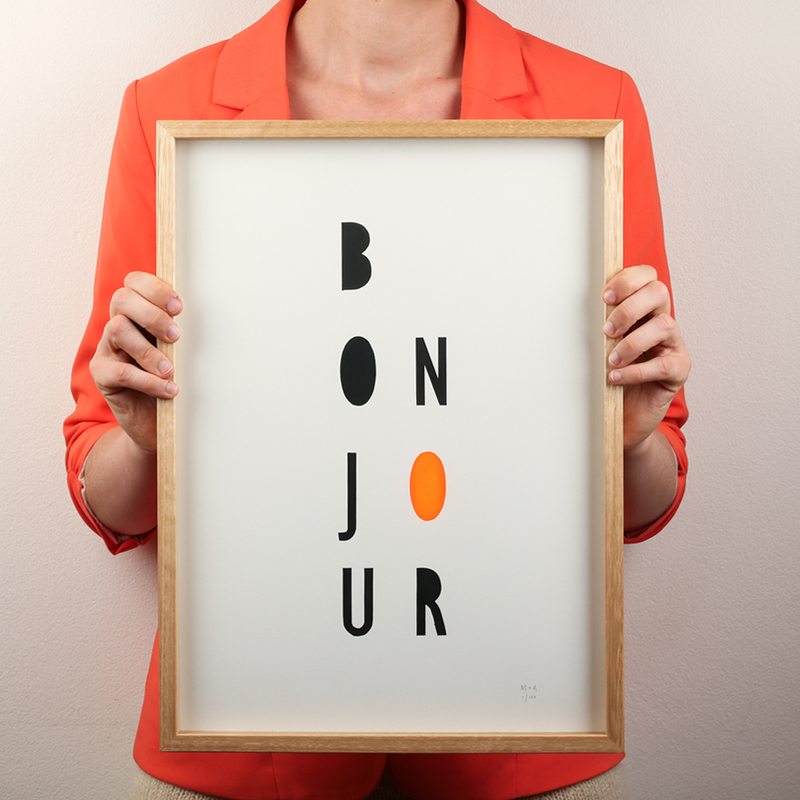 * Orange Bonjour Neon Geometric Limited Edition Screen Print on Paper ships as a large parcel and does not qualify for FREE SHIPPING offers.